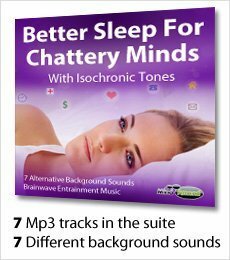 Helps to reduce excessive mind chatter and restlessness at bedtime, then gently drifts you off to a deep sleep, without using medication. Sometimes your mind just will not relax at bedtime, as thoughts, ideas and worries continuously flow in and out of your conscious brain. Just when you think you're almost getting off to sleep, another thought comes flying back into your head from nowhere and you're back to square one. Before your body can even consider getting off to sleep, your mind must begin to shut off and enter a relaxed state. 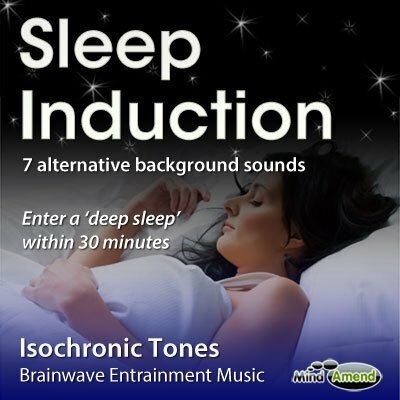 This isochronic tones session works a bit differently to my other Sleep Induction track. 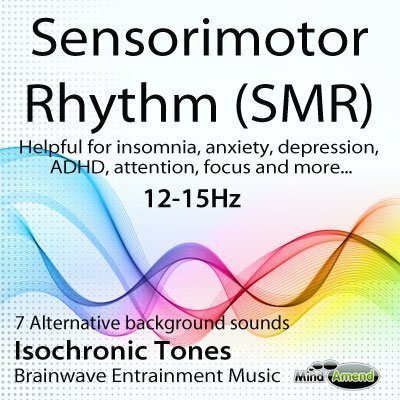 This track begins at 9.5Hz, and guides you down to the Schumann Resonance frequency of 7.83Hz in high Theta (12 minutes), which is an incredibly effective frequency for deeply relaxing you. When your mind is on fire with thoughts it can take longer to get yourself relaxed. 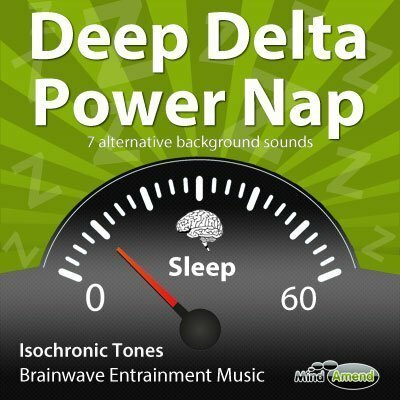 So instead of trying to bring you down to Delta sleep too quickly, you are stimulated with this 7.83Hz frequency for 40 minutes. Most of the time your body will take itself off to a deep sleep state before this 40-minute mark is reached. At 40 minutes the frequency starts to ramp downwards to a 1Hz deep Delta state, which is reached at 45 minutes. The frequency stays at 1Hz for the remaining 15 minutes of the track, helping to ensure you stay in this deep sleep state. 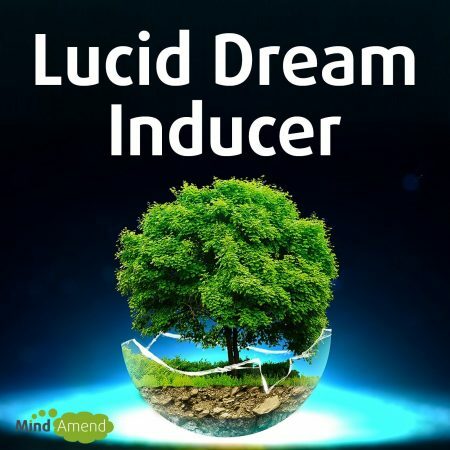 If you find yourself waking up during the night with your mind instantly full of thoughts, use this track to help get you back off to sleep. 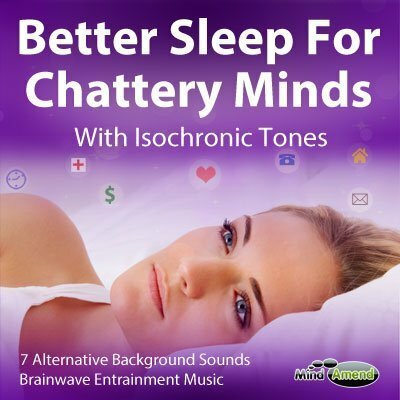 This track is designed to be listened to when you are ready for sleep at night. Standard Headphones – Although not always suitable, you can try using either the smaller ‘in ear' earphones, or the bigger ‘over ear' headphones. This will depend on what you have available and the level of comfort you require. 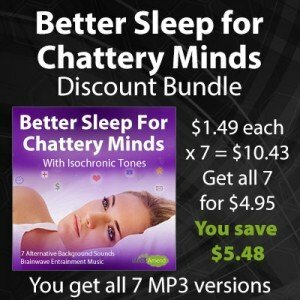 Recommended Headphones – for bedtime use, I like to use a product called ‘SleepPhones‘. They consist of a headband with flat speakers embedded inside, which you wear over your head during sleep. They are very comfortable for using while in bed.